With a lecture by Big Frame. Garrett Kovacs – Lead Installation Artist. 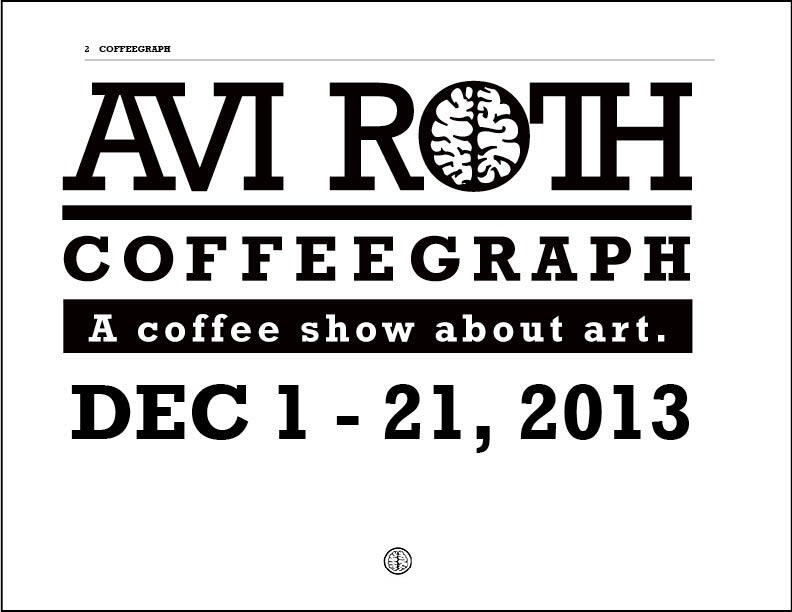 A Coffeegraph by Avi Roth. Featuring our six different craft roasters. Programming was included on a linked calendar. Our biggest event of the festival. Think Tank Gallery Presents Avi Roth: COFFEEGRAPH – A Coffee Show About Art (2013) remains the most complex show that our gallery has arranged to date. From directing the biggest team I've ever had to living up to large promises made to sponsors, and attempting the largest installation of which I've been a part then getting it to function as an espresso shop for the most picky of coffee connoisseurs, this festival of coffee and art is where I dove deepest into the most difficult tasks of any show the Think Tank has produced. Most of them paid off, but a large amount didn't and were cut from the show. This show is also where branding and directing converged more than any other in the past, making it difficult to separate the two here, but I'll give it a shot. 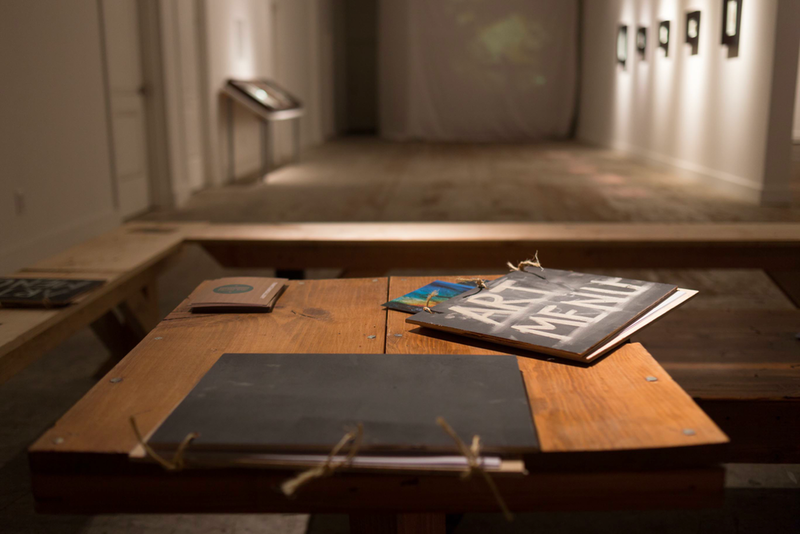 COFFEEGRAPH was a show that was inspired by work of the same name. 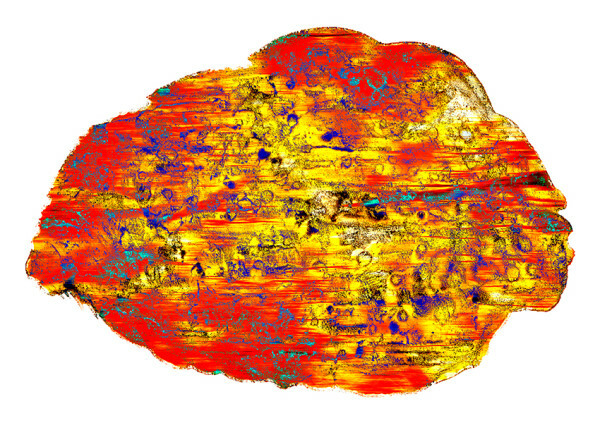 Avi Roth abandoned his career as a well-known fashion and jewelry photographer to begin his defining work, patenting a method that roasts, grinds, and extracts coffee beans into what he claims is the most versatile pigment on earth. 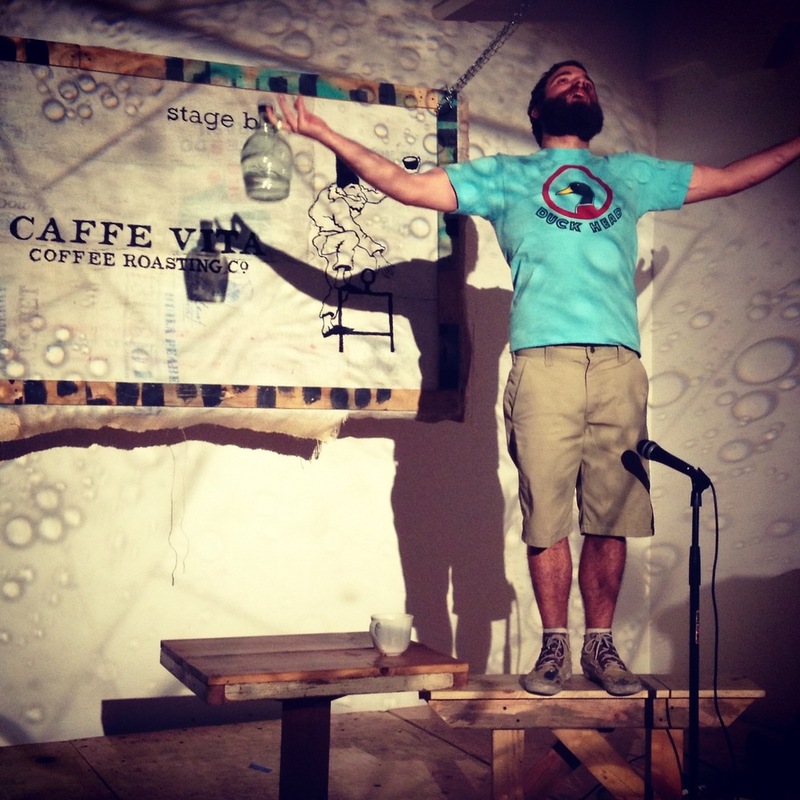 With the nature of coffee as both a ceremonial and social tool of both ancient and contemporary practice, we took the gorgeous work and applied it to the Think Tank mentality of "indebted to spectacle." 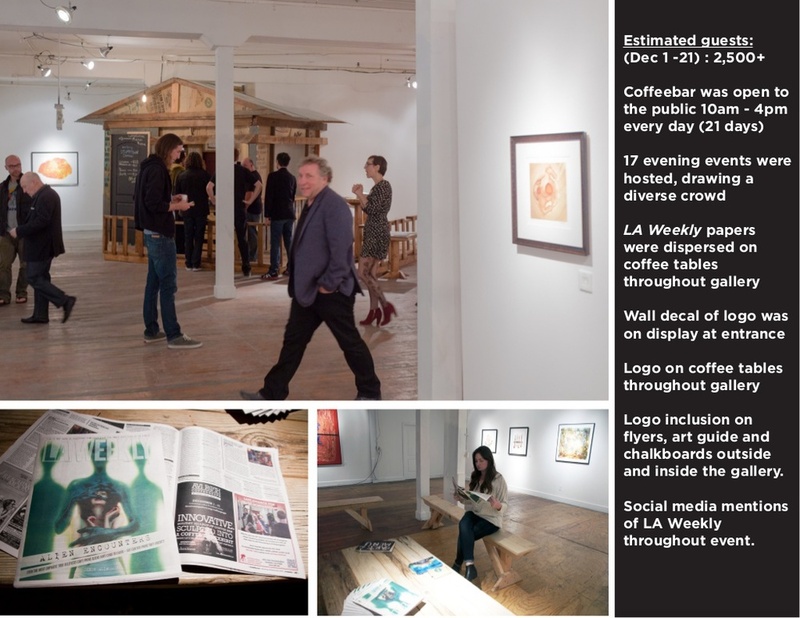 My immediate task was to research the coffee landscape in our community, which led to the discovery of LA Coffee Club and their indebtedness to the evolving craft roasting scene in Los Angeles. Being a non-coffee-consumer myself at the time, my interest targeted the fact LA had been perceived as a city void of coffee culture, and that our neighborhood of DTLA was the target of change in the community. Knowing we would be building and operating a coffee shop for the Holiday season, we quickly learned what it would take, got barista training, and began booking coffee-shop-style events to round out the three week calendar. Being a full-fledged festival in essence, my job as programming director overstepped my duties to sell art more often than not, and once I got the work on the walls, the press release written, and the variety of other directing tasks done my focus was fully placed on filling the calendar with events. Luckily I had my good friend Patricia Wayne handling media relations and promotion, so my job was more to make sure the sponsors, baristas, artists, event coordinators and guests were happy. 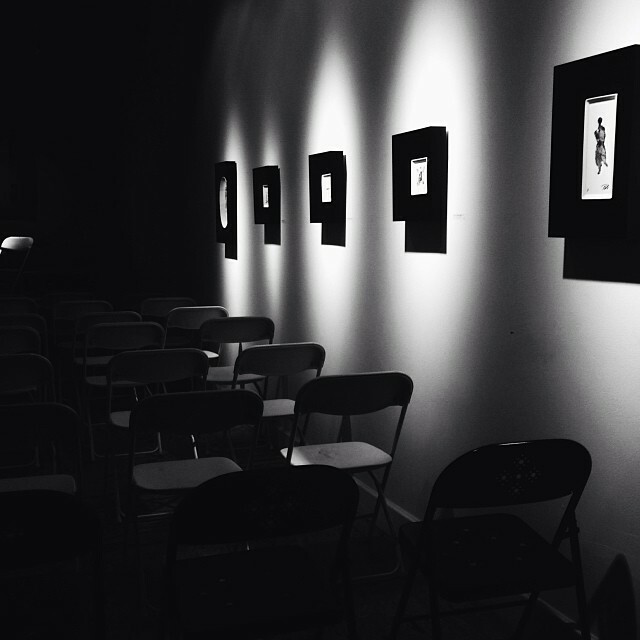 Certainly the proudest moments involved some of the largest events, from Chessboxing to a Dead Meadow Record Release Party, and my team did a great job at filling the event without stepping too far outside what made sense with Avi's art on the walls. Patricia hosted two lectures as well, including one on the concept of brand integration with Big Frame Founder Sarah Penna, and we even had a Wu-Tang Kung Fu VHS Pajama Party. There were six roasters and 18 events in all, and they dictated the reception of the show just as much as we did through our own work. 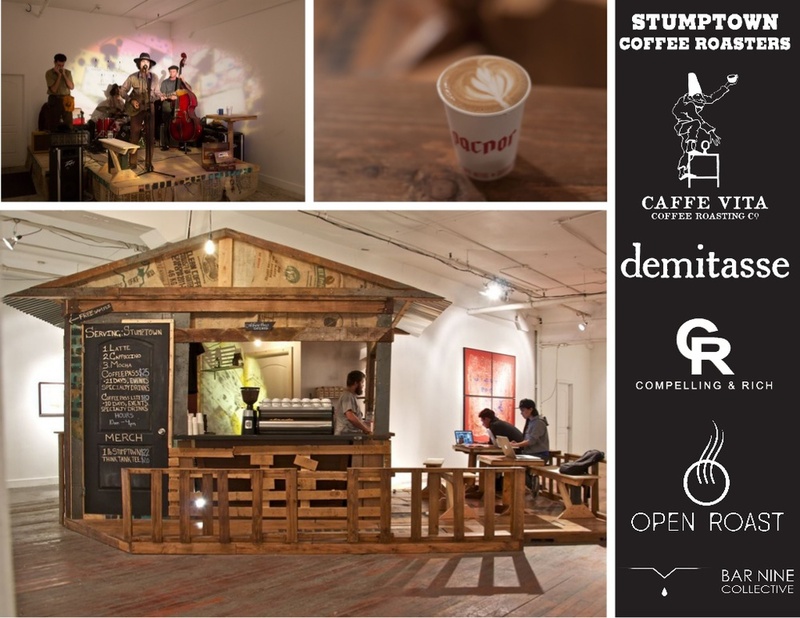 The crown jewel of the show was the coffee shop itself, more on which you can see below, as well as some of the decisions made on the exhibit by the brands that got involved. 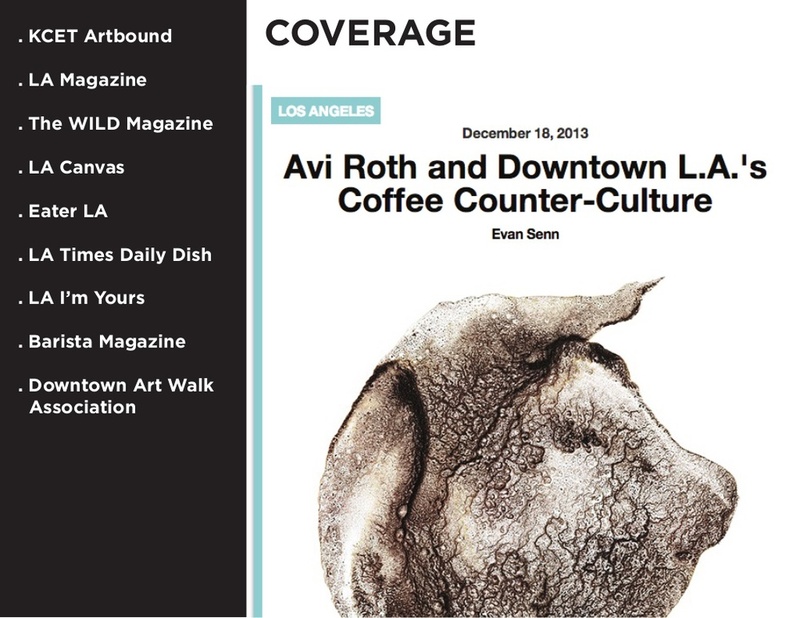 Check out the interview with Avi Roth on the exhibit here. And look at our landing page for the festival here, created by Patrick Nissim. I created almost all of the visual content for the fest. 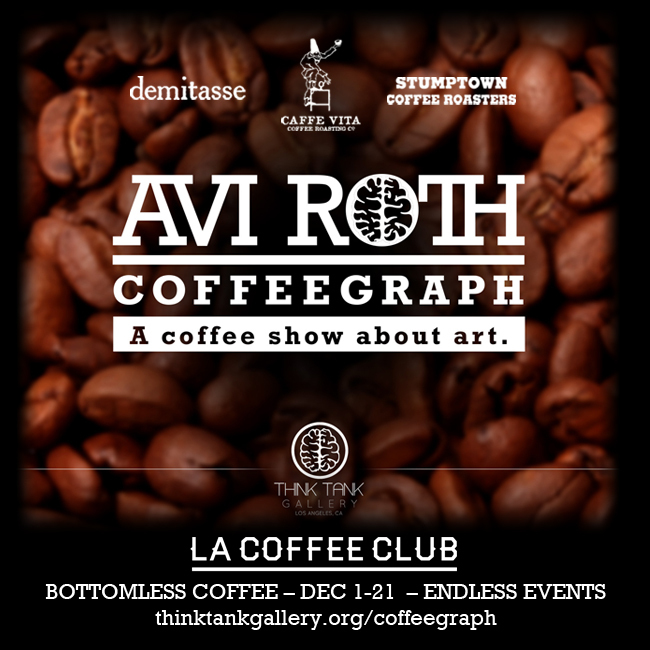 The defining moment in the COFFEEGRAPH show actually was not when we got Avi Roth to offer us the work in his studio, or even when LA Coffee Club signed on as co-presenters, but when La Marzocco and Barista Capsule agreed to loan us their equipment and even supplement some cost. These are what made the project feasible. Indeed, the title sponsors of Stumptown, Caffe Vita, and Cafe Demitasse and the funding and coffee they provided were integral, as was the media partnership provided by LA Weekly (Patricia's doing), but going into it the craft coffee-ignorant bunch that we were, our original goal was to build every piece of brilliantly-engineered coffee machinery ourselves, insofar as the bar itself went, anyway. Indeed, while we knew that the espresso machine would be a loaner or rental, we figured that drip coffee would be the main draw. Once LA Coffee Club stepped in, we knew how far from center we actually were, and how difficult building everything out would be. There is more on this nearly-impossible task in the description below, but suffice to say that once La Marzocco became a part of the experience and brought Barista Capsule with them, the show went from existing as an idea to potentially existing in real life. In a testament to our ignorance of local roasting culture our original pitch, while it had many merits, included a microwaveable golden-rimmed coffee mug that would be purchased in order to infinitely refill one's cup with self-serve. Latte Art Throwdown (one of our most noted events in the end) be damned, we thought we'd have people hanging out in the gallery all day to refill their king's cup. 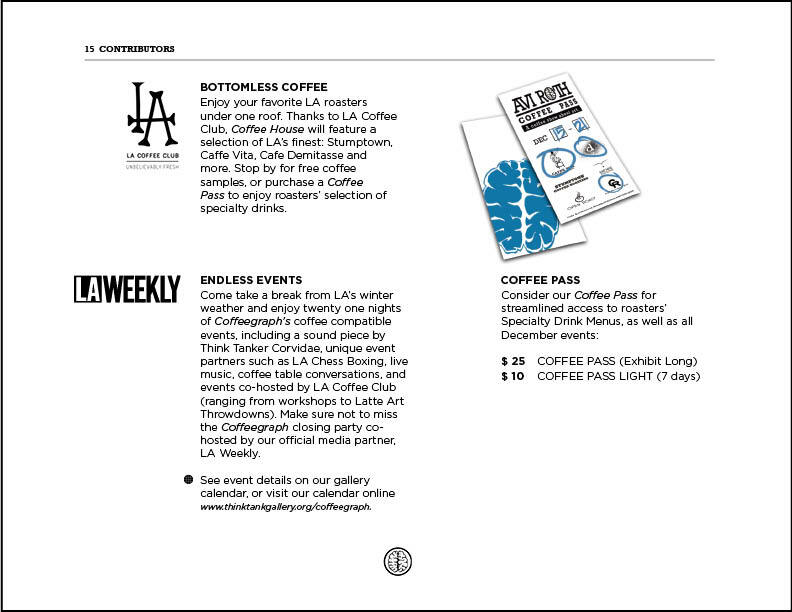 Luckily, we were wrong, and instead we created a much more humble Coffee pass (below), which served as a testament to the community-driven philosophies of the competing craft roasters and associates. The Pass could be purchased at one- or three-week price points, and included unlimited specialty drinks and access to every event we hosted during the dates selected. 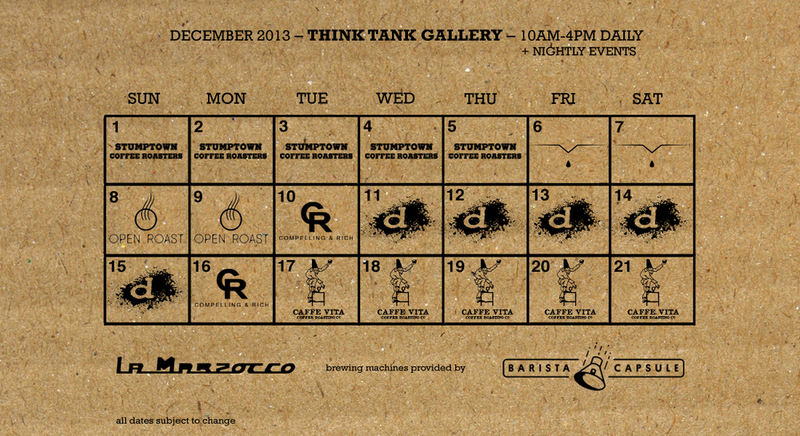 Each roaster's logo was included (all of whom were incorporated into the calendar to best match events with their brands internally) and circled with a color that matched the stamp that activated the specified tier purchased. It was a simple system that trickled down to everything, from the events themselves to the spaces where service windows were built into the installation (below). We also created three videos to both announce the brands' involvement and advertise our upcoming and past events, all of which can be found on this page. Collaborating with the likes of Ate9 Dance Company for their site-responsive performance of Shiela, and Corvidae, who created a sound piece whose frequencies reacted both to the substance of coffee (for a "deaf cupping" with noise-cancelling headphones) and Avi's work, making the pieces vibrate as you looked at them. You can hear his piece to the left, which he also performed live at the opening. What was probably the cleverest use of our space, however, was Think Tanker Aurelia Friedland's use of the Think Tank Diner as a speakeasy in the back. My collaboration with Friedland entailed a 50's-style Diner experience that saw a model on rollerskates serving mocha milkshakes and grilled cheese sandwiches alongside Secret Squirrel and Boomtown, accessed via a secret entrance that was advertised in plain sight. 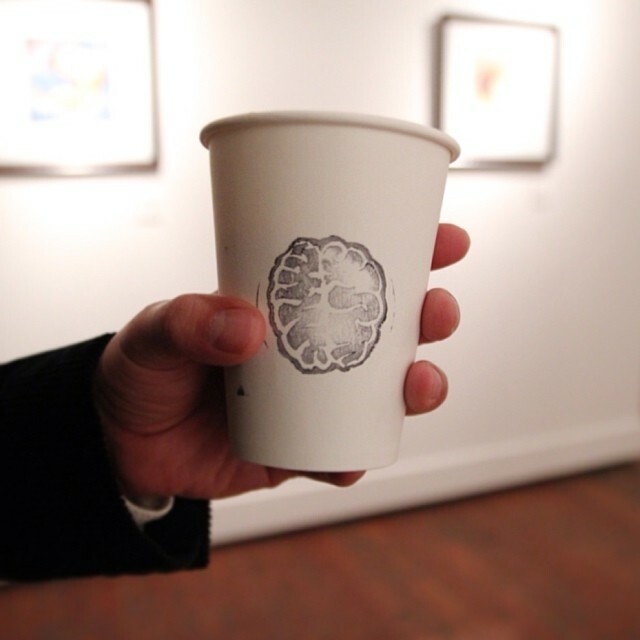 Aurelia also created the "Art Menu," which framed Avi's work, the coffee bar itself, and the craft roasted specialty drinks alongside one another as the three areas to round out the art-viewing, tasting, smelling, touching, and hearing experience. See more on the speakeasy and menu projects by looking through the images below and visiting Friedland's project page. You can also look at the final, golden-rimmed-mug-less proposal for the show here. Serving not only as COFFEEGRAPH's most-photographed installation to date, but also the most well-documented piece in the gallery's history, Think Tanker Garrett Kovacs led the charge on this tiny house functioning as a coffee bar with a picket fence and front porch-mimicking sculpture for our team of volunteer builders, myself included. While I was definitely focused on hanging Avi's work in the truest manner, I also helped to build the structure in certain parts, alongside my girlfriend, our electrician and other friends. While a carpenter I'm not, there were some large portions of the structure that I helped to figure out beneath Garrett's direction. I've been prouder of no other accomplishment, and the largest testament to the Think Tank's willpower was how Garrett designed and redesigned this functioning sculpture as changes were made throughout its completion. From a bathroom being torn out and rebuilt inside of it at the same time he was working on it, to a mobile Barista Capsule being incorporated – electrical needs included – at the halfway point, to the final budget of materials being decided only a week before the opening, this thing drove us crazy. As installations before it, we were still building as doors opened, but because of the brilliant work of the team, the piece was structurally sound, safe to serve out of, and functionally smooth enough that we had to make zero changes during the length of the festival. I have never learned how to use tools more efficiently than under Garrett's guidance, and the ability to build in a setting of such difficulty is a skill I will carry with me for the rest of my career.